The Perfect Hamburger - look no further! 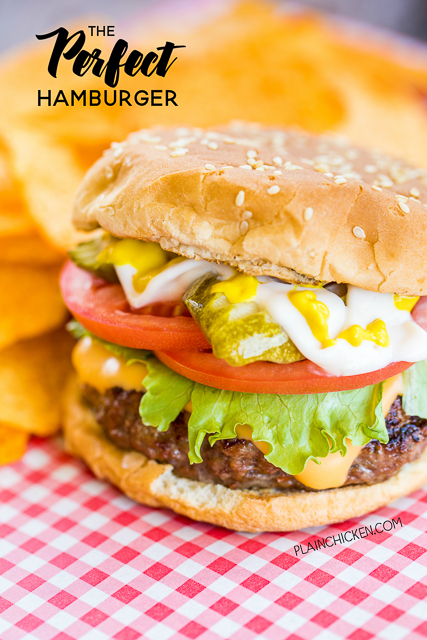 The recipe for the Perfect Hamburger is right here!! We ate these 3 days in one week! SO good!!! Great for a crowd. Can make patties ahead of time and freezer for later. Simply THE BEST! We are always on the lookout for The Perfect Hamburger, and this just might be it! OMG! SO delicious! We've made these three times in the past two weeks. We just can't seem to get enough of these tasty burgers! 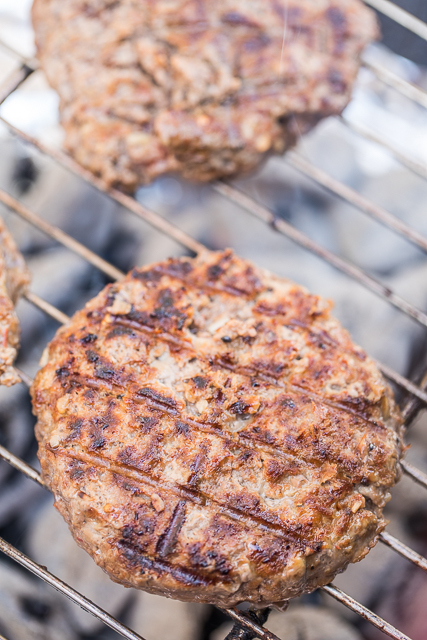 The burgers are super easy to make and the patties freeze well too. We have some in the freezer ready for our next burger craving! These burgers are seriously the best. They are great for all of you summer cookouts and upcoming tailgates this fall! I love how easy it is to double, triple or quadruple the recipe. You can adjust this to fit any crowd. 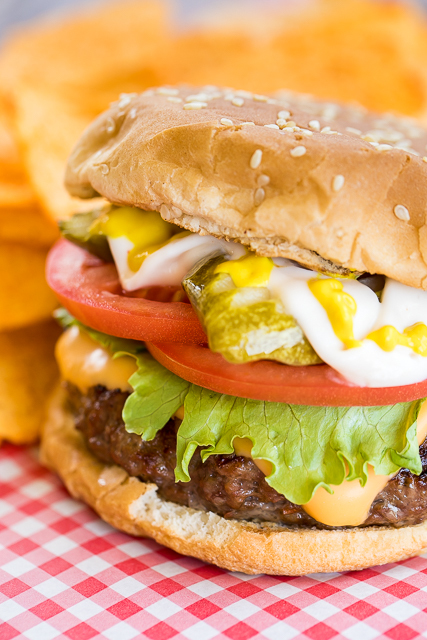 We topped the burgers with cheese, lettuce, tomato, pickles, mayonnaise and mustard. 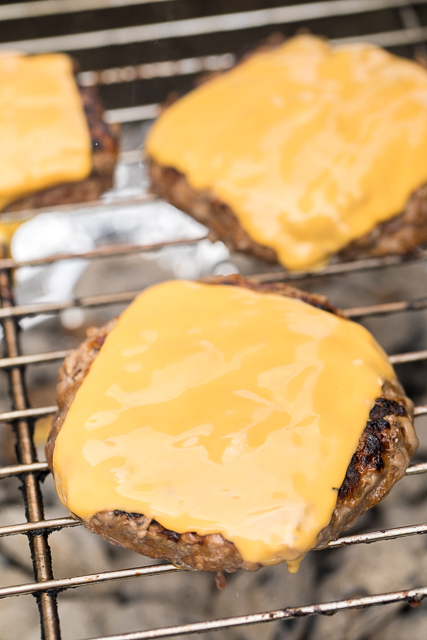 I usually use American cheese on burgers because it melts beautifully. Feel free to use your favorite cheese though. Next time I am going to add some thick sliced bacon on top of the burgers as well. I have a real weakness for a good bacon cheeseburger! In a bowl, combine egg, chili sauce, horseradish, Worcestershire sauce, salt and pepper. Add ground beef and mix well. Shape meat into 3 or 4 patties. Grill or broil until desired doneness. Serve on hamburger bun with favorite toppings. My grandmother had an old adage, your condiments and add-ons should never be taller than your burger and bun. She also never cared for anything cold to be a topping on a hot hamburger. That one I agree with. The tall deal I'm still working on. I like the sound of this mixture. New flavor combo. I love a good burger too. Thanks for sharing. fixed these last night and thought they were delicious! Thank you so much for this recipe! I made these tonight and they’re awesome! The horseradish and chili sauce give these burgers so much flavor, like a “beefiness”, for lack of a better description, without “telling on themselves”. I don’t think I’ll ever make burgers any other way from now on!